For me, it was always Easter and Thanksgiving when my whole family got together. Christmas was always spread out. My parents got divorced when I was five, so Christmastime, while wonderful, was split up and not usually a full-on family reunion. 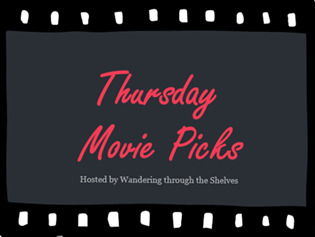 So, Thursday is here, and it's time for another entry into the world of Wandering through the Shelves' Thursday Movie Picks...Family Reunion-style. The Buckman family live close together, middle America. It is made up of four adult siblings and their kids, some of whom are on their way to adult- and maybe even parenthood, themselves. 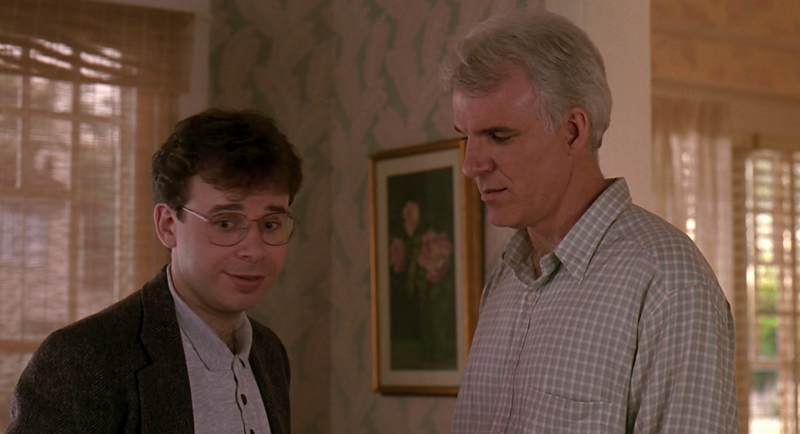 For these siblings, including characters played by Steve Martin and Dianne Wiest, and their parents (Jason Robards and Eileen Ryan), it is the arrival of the baby of the family, Larry (Tom Hulce), who brings them all together. This movie is equal parts sweet and funny. I mean really funny. It was a huge hit for director Ron Howard. Rightly so, it's a solid, easily re-watchable movie. Trust me. I've seen it several dozen times, and it never gets old. Well, I reckon I've run the gamut on Wes Anderson flicks this year. Time to retire them, I think. But this has to be here. For the first time in over a decade, the adult children (Ben Stiller, Luke Wilson, Gwyneth Paltrow) of Royal Tenenbaum (Gene Hackman) and his wife Etheline (Anjelica Huston) come back together under one roof. Royal is dying? Well, if you haven't seen this movie, do so immediately and see how Wes Anderson became one of the truly great visual stylists of the cinema. It starts here. I think about this movie all the time. It has some of the most real, human emotion I've ever seen in a fictional film. That is all Jonathan Demme, working from a great script by Jenny Lumet (Sidney's daughter). He shot this thing almost like a home movie. All handheld. Non-actors, mostly musicians. The real actors that drive the thing are outstanding. Rachel (Rosemarie DeWitt) is of course getting married. But this is the story of her family, her sister, Kym (Anne Hathaway), their past, their mistakes, their triumphs, their loves, their demons, all brought together into a joy of a film rife with plenty of both gut-wrenching, relatable drama and human comedy. And the musical interludes Demme has seamed into this thing are brilliant. It seems this one isn't as universally liked as I thought, when I did my Google of it. But I loved this movie back in 2005. Featuring a great ensemble cast, it is the story of the Stone family, who reunite every year at Christmas. This time around, the prodigal Everett (Dermot Mulroney) is bringing his new gal, the ultra-conservative Meredith (Sarah Jessica Parker) to a table of liberals. He might propose to her, his mother (Diane Keaton) fears. Enter a series of mishaps and arguments and misunderstandings to turn the place upside down as Christmas Day nears. The cast of this thing is seriously epic, including also Rachel McAdams, Luke Wilson, Claire Danes, Craig T. Nelson, and Paul Schneider. Parenhood yey! I'm saving The Royal Tenenbaums - but this is a perfect fit for it. I've heard so many great things about Rachel Getting Married but I really dislike Anne Hathaway. Sometimes an actor or actress can really discourage you from seeing a movie, but, even with a dislike of Anne Hathaway, Rachel Getting Married would work I think. I so love Parenthood! Glad we matched up on that one. Nice! I also choice Rachel Getting Married. The Royal Tenenbaums is one I need to rewatch. I saw it in high school and hated it, but my taste has grown so much I need to give it another shot. I haven't seen the other picks. I am a Wes Anderson junkie, as I'm sure you know by now. Really recommend you try this one again. I also really need you...and everyone...to see Parenthood. It is a great great comedy, with just the right amounts of drama and tenderness. Nice pick with Rachel Getting Married. Love that movie. Out of all these films mentioned, I've only seen The Royal Tenenbaums. I want to see The Family Stone & Rachel Getting Married. I may watch Parenthood as well. My pick for this category would be the great British film, Secrets & Lies. The screenplay, the acting, the masterful direction from Mike Leigh, it's all excellent. I can't recommend seeing Parenthood enough, man. Truly. It is a great movie. Almost picked Rachel Getting Married, myself. Such a fantastic film. I've watched and forgotten everything about Family Stone. Still need to see the other two. It really is. The Family Stone is one of those that my college roommates and I just really dug. Solid Christmastime movie. Rachel Getting Married is PERFECTION. Anne Hathaway should have won the Oscar for it. The whole cast is just incredible and the way Demme captures the feeling of the wedding is just beyond. Love The Royal Tenenbaums, too. It fights with Moonrise Kingdom for Anderson's best in my book. Agreed! It is so great. And I loved Anne Hathaway's work there. I also loved Debra Winger's small, but supremely powerful, turn. So much love went into that film. For me, it's Rushmore, but Tenenbaums and Moonrise Kingdom fight for second place for me. I LOVE Parenthood, you're right it is endlessly rewatchable. I can never decide who is best in show, I go back and forth between Steve Martin, Dianne Wiest and Jason Robards, Jr. but the entire cast is brilliant, even the very variable Keanu nails it. His kitchen scene with Dianne Weist after he has a talk with baby Joaquin Phoenix is so moving. I just watched Royal Tenenbaums last month for the first time and while I liked some of its quirky humor I didn't adore it overall. But I didn't hate it either. I had hoped for more from Family Stone than it delivered. I'm a fan of the entire cast excepting SJP but it fell flat. I'm going to be the dissenting voice I'm afraid in regards to Rachel Getting Married. I HATED IT with a passion. It took a couple of passes just to get through it once and it was agony, I loathed those people. My first pick this week is slightly outside the rules, it is a reunion just not a family one it was however the first one I thought of when I saw the topic and it's so much fun. The Last of Sheila (1973)-A year after his wife is, as one character so compassionately puts it, “bumped through the hedges” in a hit and run Hollywood director Clinton Green reunites, on his yacht in the Mediterranean, the group that was at his house party that night. A long time practical joker he insists they play a game where each is assigned a secret that the others must solve. Since the group is for the most part a bunch of opportunists and grabbers pleasantries are interwoven with insults but everything seems fine until a series of accidents start happening and the game turns deadly. Terrific puzzle of a picture with a sensational cast of stars from the seventies, Dyan Cannon, James Coburn, Joan Hackett, Raquel Welch and James Mason among them, was written by Stephen Sondheim and Anthony Perkins. Even the title is a clue! The Lion in Winter (1968)-It Christmas time 1183 and King Henry II has decided to let his wife Eleanor of Aquitaine out of her imprisonment for a family reunion with their three rapacious sons. At stake? The decision of succession and the fate of England. Acting fireworks provided by the whole cast but in particular Oscar winning work from Katharine Hepburn and should have been Oscar winning work by Peter O’Toole. When those two greats go head to head it’s wonderful to behold. Pocketful of Miracles (1961)-Apple Annie (Bette Davis) a boozy Broadway peddler during Prohibition is the good luck charm of gangster Dave the Dude (Glenn Ford) and his gang, including right hand man Joy Boy (Peter Falk) and moll Queenie (Hope Lange). Annie, who runs her own organization of the denizens of the street, has for years been corresponding with her daughter Louise (Ann-Margret)-growing up in a convent in Spain thinking that her mother is a frail society matron. One day Annie receives a letter from Louise. She’s fallen in love and is engaged to a young Spanish count…also she’s on her way to visit with fiancée and his father in tow. Annie goes on a drunken binge but the Dude and his gang step in to try and turn this rough duckling into a queenly swan and make her reunion with Louise a face saving dream. The Capra corn is pretty high in his last feature but this has a gossamer charm with delightful performances from the entire cast, Falk was nominated for a supporting actor Oscar. Honorable Mention-Crimes of the Heart (1986)-Diane Keaton, Jessica Lange and Sissy Spacek play a trio of quirky Southern sisters who reunite when the youngest sister Babe shoots her husband. Part joyful reunion part hashing out of old resentments this film, based on Beth Henley’s Pulitzer Prize winning play which she adapted, is stagy at times but wonderfully acted by the three leads. Really? I found the craziness of the family in Rachel Getting Married to be quite relatable to my own family life. it really worked for me. Love the way Demme and Co. shot it as well. Not for everybody, I'd say, though. The cast of Parenthood is just perfect, man. Robards is just great. I, too, love that scene with Keanu Reeves. So touching. As for your picks, I've only seen The Lion in Winter, and that is a badass piece of cinema. O'Toole got hosed, as he did several times, on that one. His work is equally as great as Oscar winner Hepburn. Got to watch that on as part of Drew's Twice a Best Actress. So powerful. Your other picks sound great as well. So many older movies I need to try out, and I thank you, Joel, for so many great recommendations this year. I love all my picks of course but the one I'd recommend to catch first is The Last of Sheila. I LOVE that movie. I watch it at least a couple times a year and I've never recommended it to anyone who hasn't come back and said they really liked it. So glad you love Lion in Winter, that is an amazing piece of cinema. Both O'Toole and Hepburn are tremendous but then so are Anthony Hopkins, Timothy Dalton and the rest of the cast. I enjoy the winner from that year, Oliver!, but for my money there's no way it should have won over Lion. Haven't seen much of The Royal Tenenbaums today. I would've thought the same thing. Great movie! Parenthood is a really solid movie about family. You really should give it another try. Rachel Getting Married is one that is not for everyone, but I loved it. Anne Hathaway usually works for me. Don't love her though. 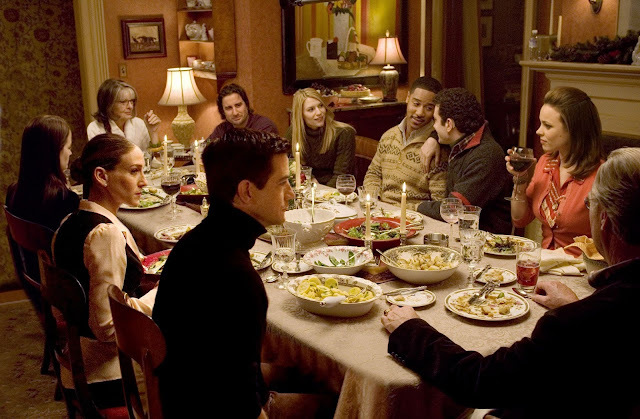 The Family Stone is a wonderful movie...a charmingly dysfunctional slice of dramedy that handles the awkwardness of life brilliantly, features a brilliant cast and remains one of the best 'misunderstood' classics of the aughts. I couldn't say it any better. My exact feeling about it. And welcome back, brother!! Great post! I'm glad you included Parenthood. I really liked that movie, and I rarely see it mentioned. Thanks. Parenthood is a perfect movie. Quite underrated. I love The Royal Tenenbaums, but I haven't seen it in a few years so I forgot the the reunion bit.